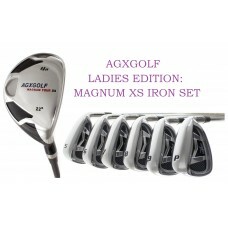 From Agxgolf: Magnum XS Ladies golf club iron set. - Callaway x-tour style irons with steel shafts!! The same company that bring you the Ballista and Prestige Edition golf clubs have designed the Magnum XS ladies edition for us..! Yes, this is a brand new set still in the factory box!....iron set include one year manufacturers warranty!! 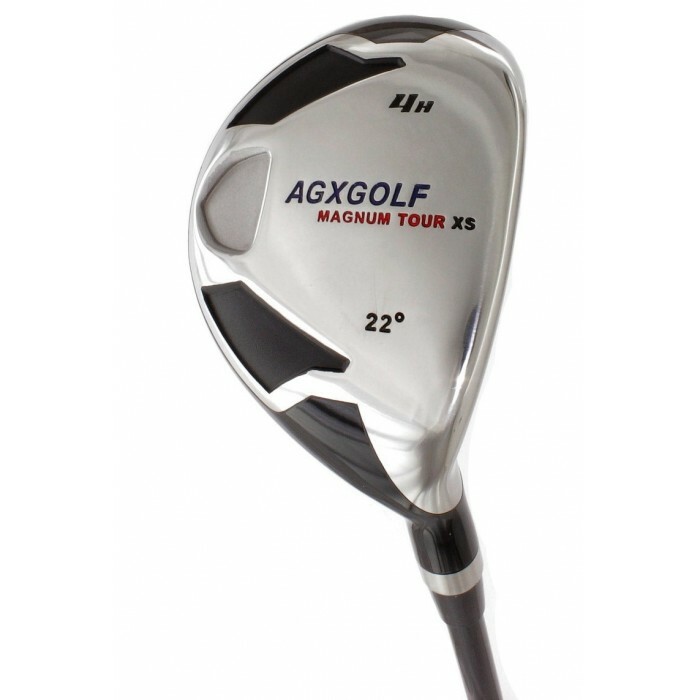 This set of golf clubs from Agxgolf features a hybrid utility iron which combines the power of a wood with the accuracy of an iron. this club will help you greatly improve your scores. The dual perimeter weighted sole weighted cavity back over sized irons are inspired by the Callaway style of design to help square the club up at impact for straighter more accurate shots and more forgiveness on those miss-hit shots! The special sole weighting at the sweet spot produces a lower center of gravity that results in high tour style shots that land the ball softly on the green!! You will certainly admire the tour appearance, quality and extra durability of these mirror finish irons. 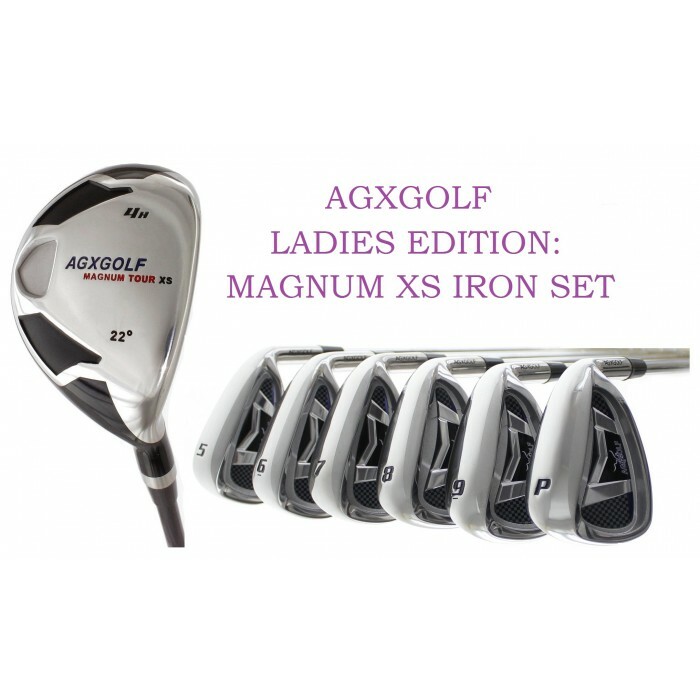 Designed and inspired by the latest technology the Agxgolf Magnum XS ladies edition is a great iron set for the intermediate golfer as well as beginners. The oversize clubs are great confidence builders by providing excellent forgiveness on miss-hit shots. #4 Utility Iron (Hybrid) for those long pin shots and a real life saver for those longer fairway shots. 5,6,7,8,9 irons Pitching wedge: (callaway x-tour style) cavity back and oversized for maximum forgiveness and accuracy. This listing is for a Ladies Right Hand Set. Not sure of your size?